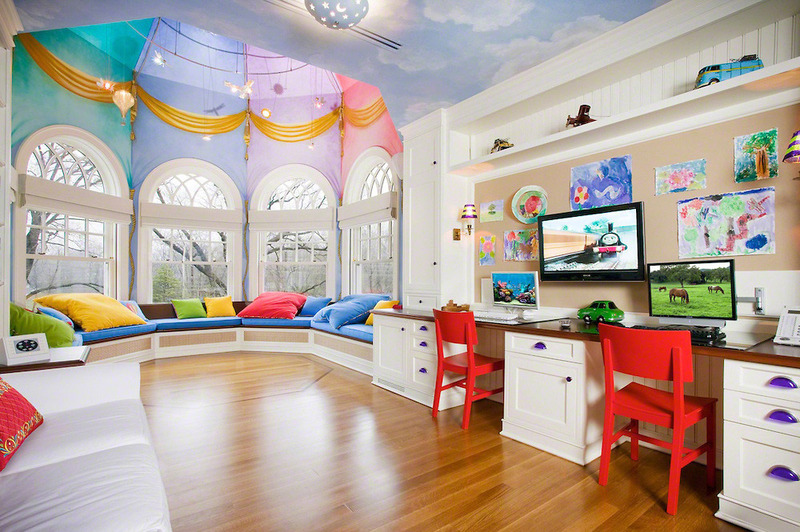 A child’s playroom can be a place of wonder. 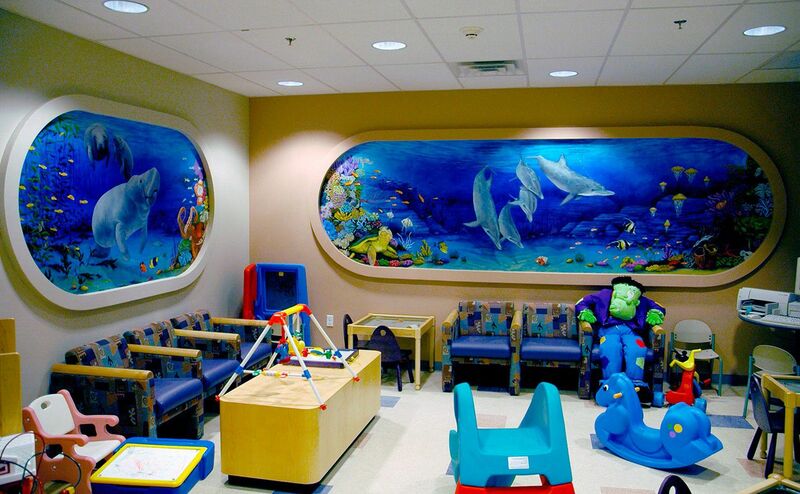 It can be a place filled with imagination and fun. 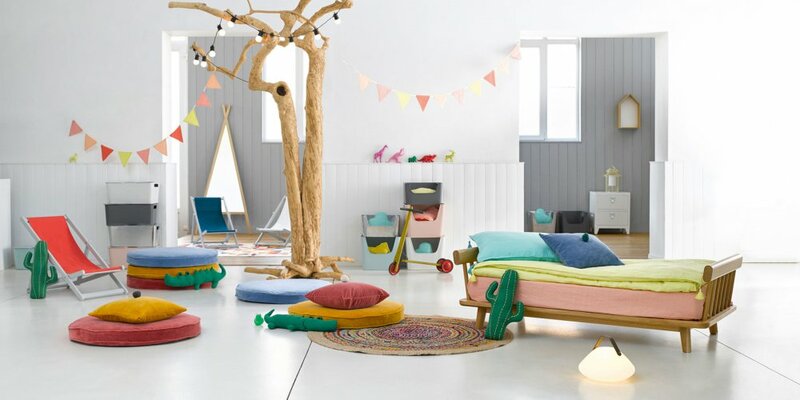 There are countless playroom ideas that can be explored. Let’s look at some of them now. 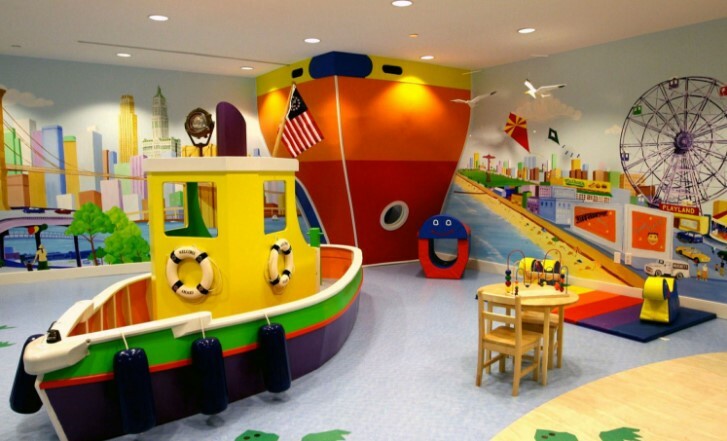 Children’s playrooms really can be done in many ways. 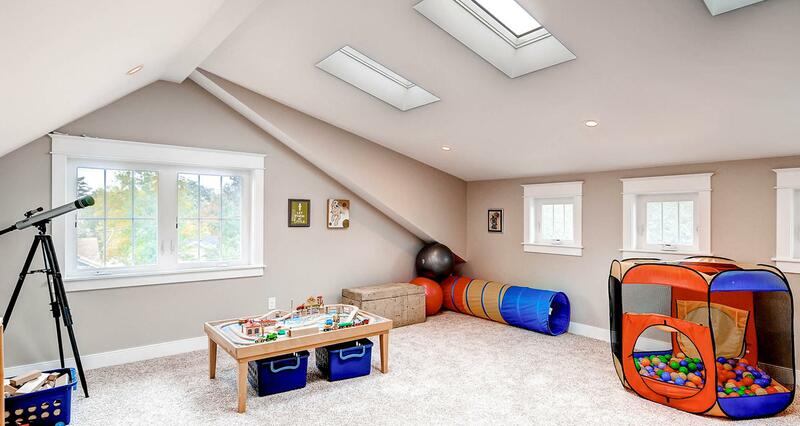 Some parents like to integrate a playroom into the child’s bedroom, while others like to have the playroom separate. 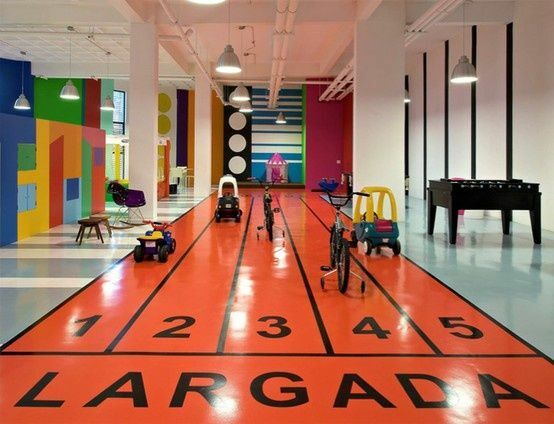 When it comes to a playroom, there are no hard and fast rules. Really, they can be of any kind as children are very accepting of all kinds of things so long as it includes fun. 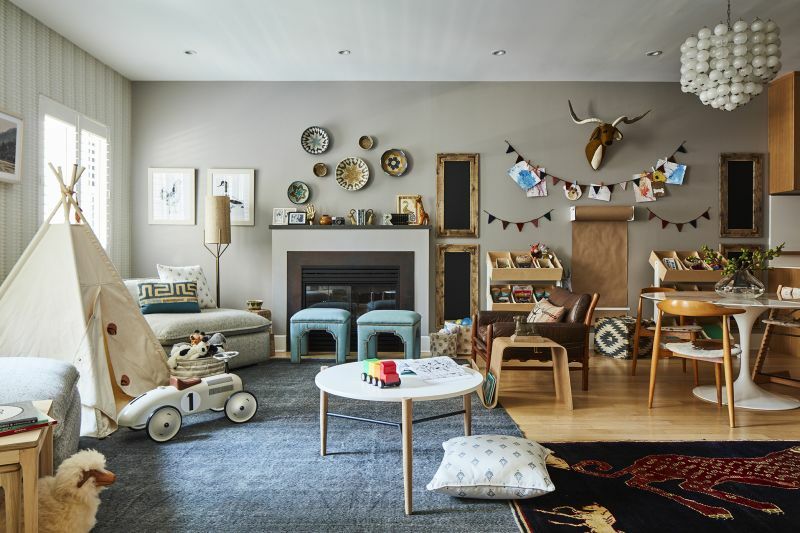 One great thing about playrooms is that actually coming up with ideas and then creating them can be a great deal of fun for the whole family. Why not take advantage of that and get some more quality family time? 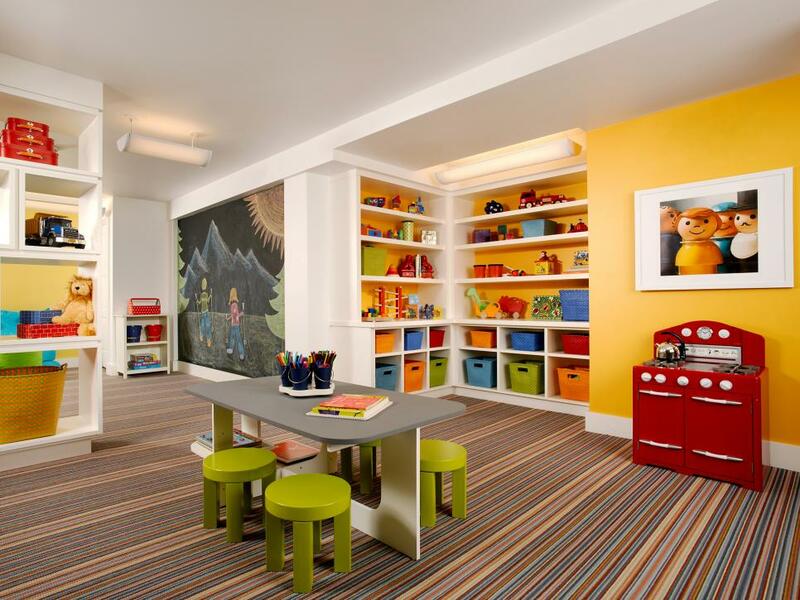 At the heart of it all, playrooms really are all about fun. This can be any number of things to children. Clearly toys and other playthings are a part of the equation, but that is not all there is to it. First thing to consider is who all is going to need access to it? Is there only one child, several, boys, girls, a mix are questions that you will have to answer for yourself and take that into consideration. Also, the different tastes if children should be accounted for. 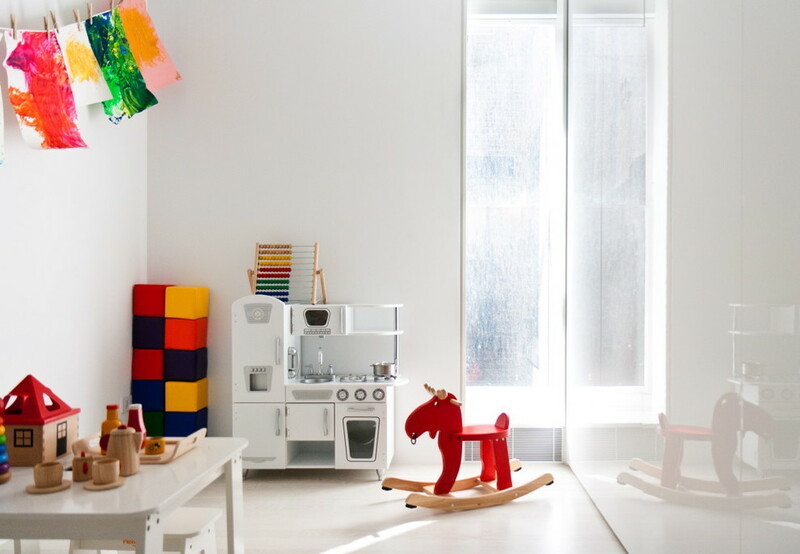 When it comes to playroom decorating ideas, there really are countless possibilities. 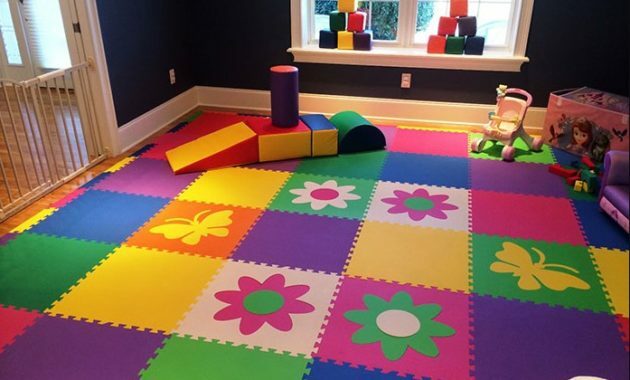 From the color of the walls and flooring, carpeting, accessories, and more there are endless possibilities. Not all ideas need to be purely decorative, there are plenty of decorating ideas that can be fun and help in learning as well. Let’s look at some of the options now. 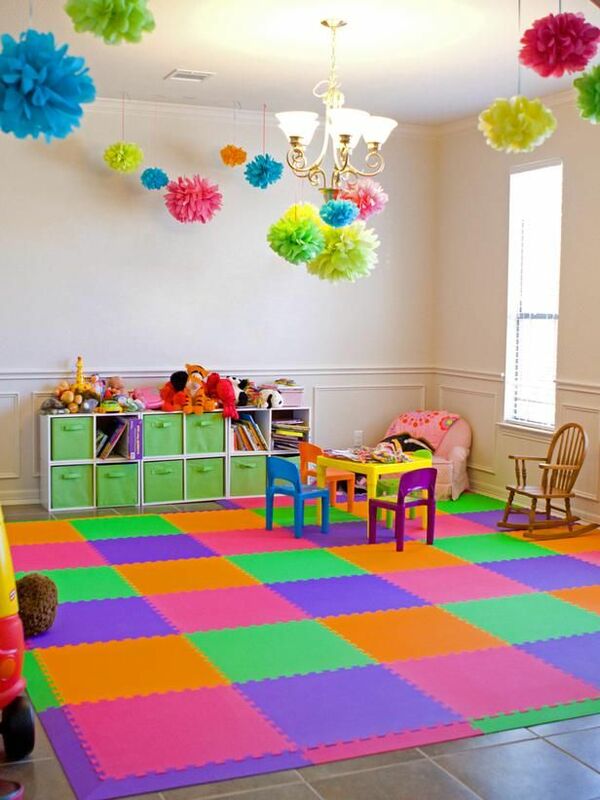 One of the first things to consider when you are looking into playroom decorating ideas is the overall color scheme. 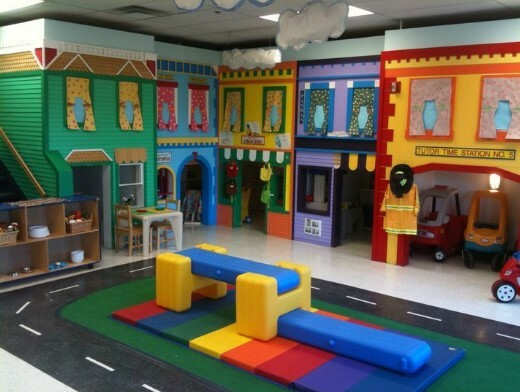 IT should come as no surprise that children like colors. If you look at things that are packaged and marketed towards children, they include plenty of color. 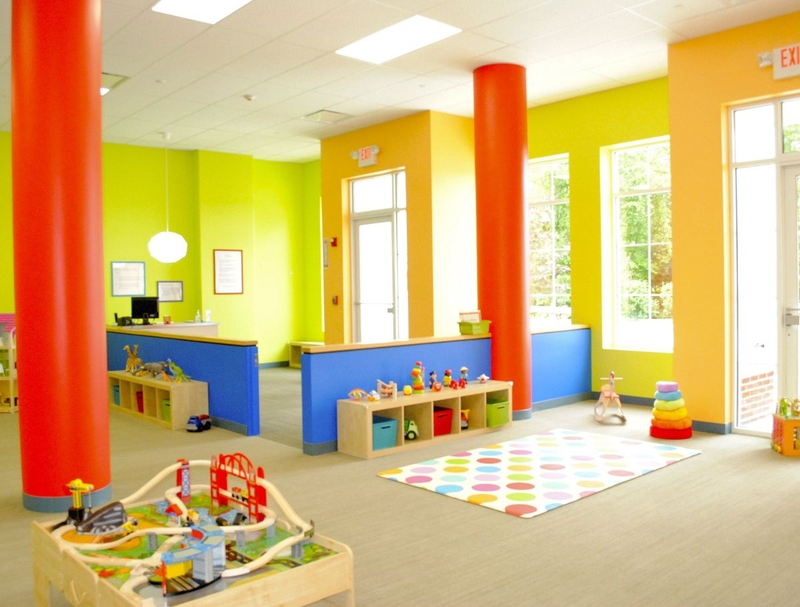 These businesses have spent a lot of time and money finding out that color is what works with children. It works for more than just attracting attention as well. 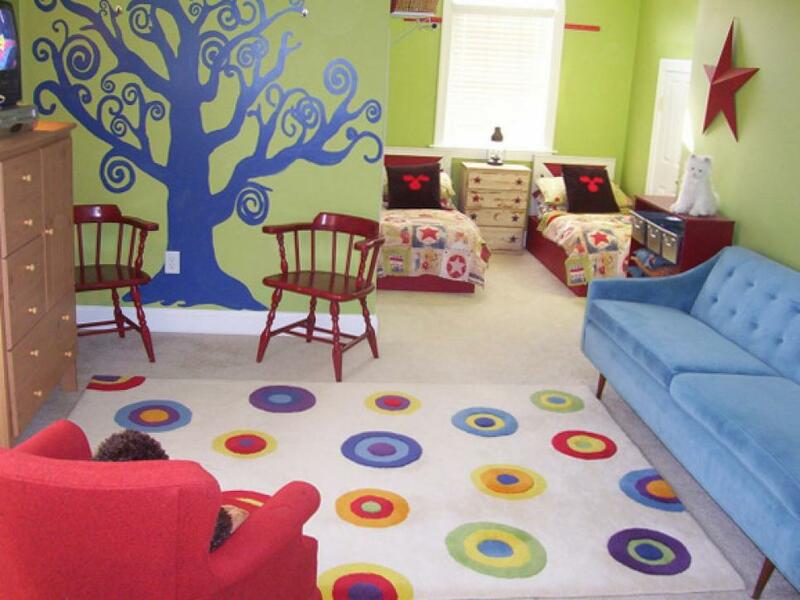 Color can stimulate brain activity in children and children exposed to color tend to enhance their creativity. 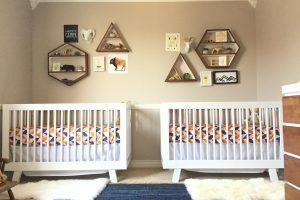 These are some great things to add to any area that a child will be spending a lot of time. 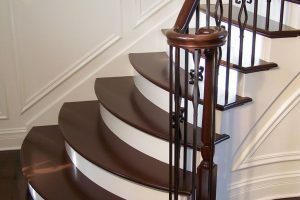 Other things to take into consideration are the flooring options. Hard surface floors like wood or tile are easier to maintain, but carpet can be used to create separate areas. For example, a red patch of carpet can be used near a paining easel to signify the painting area. This is a great way of indication task areas. Also, carpet can also be a comfortable thing to sit on while creating with some building blocks or something else. This is certainly far more comfortable than sitting right on a hard surface like wood. 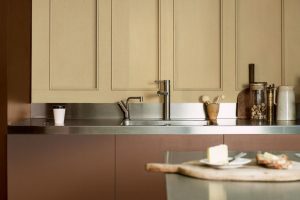 Painting the walls offers many opportunities for decoration and fun. 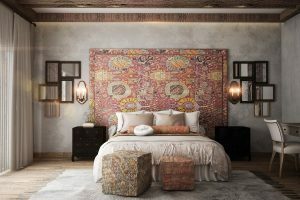 For example, if you are somewhat creative you can try your hand at stencils for a decorative touch around doorways, windows and light fixtures. 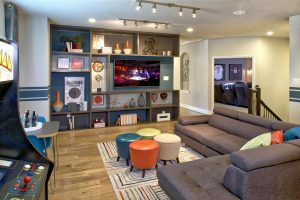 These can be bold and colorful or more decorative depending in your needs. 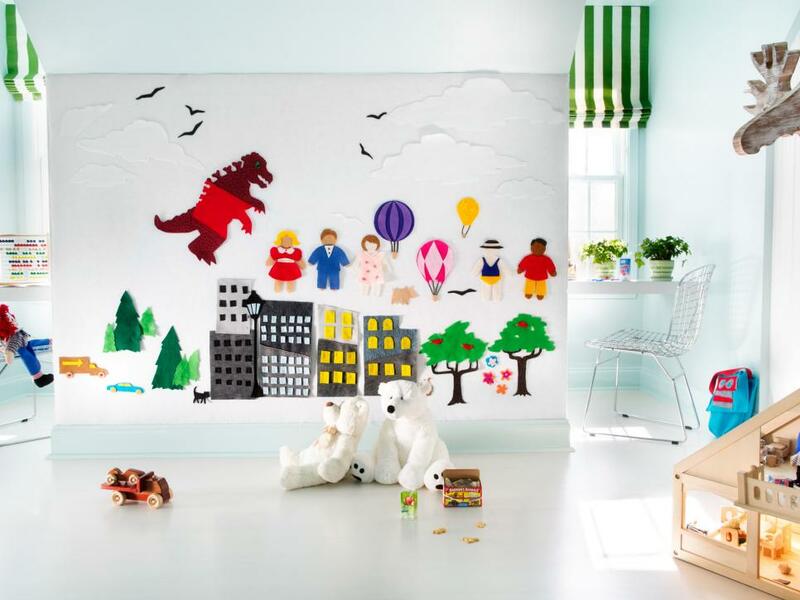 If you are not too artistic yourself, there are plenty of reusable wall stickers that you can buy to decorate with. Perhaps a part of the wall can be painted in the color of a blackboard. 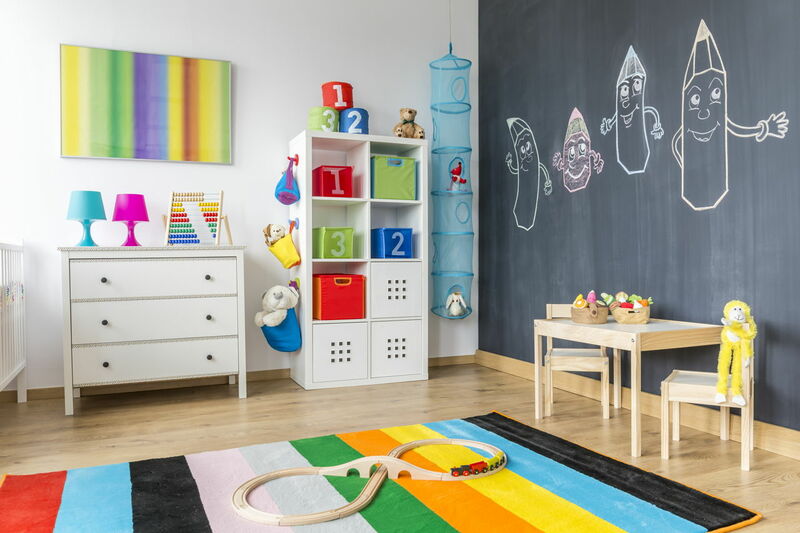 Children can then use chalks right on the wall to draw to their hearts content. 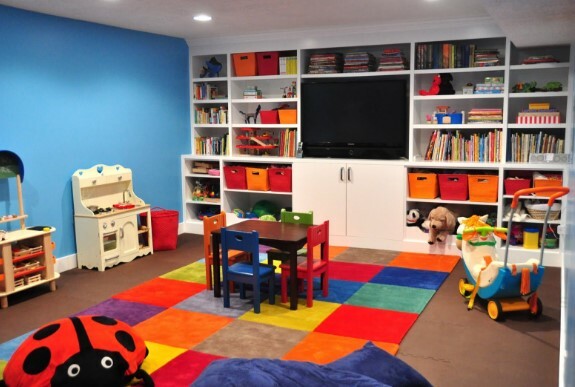 If a playroom is going to go in a basement, there are a few things to take into consideration. 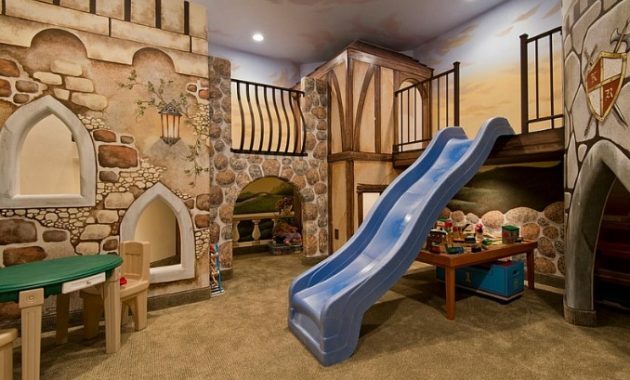 There are plenty of great basement playroom ideas. Let’s look at some of them now. 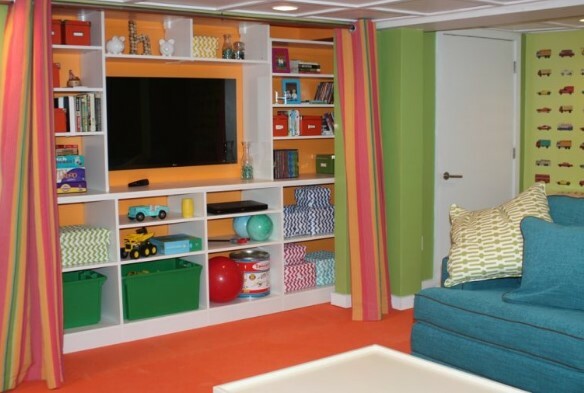 When it comes to basement playrooms, there are a few more ideas to take into consideration. 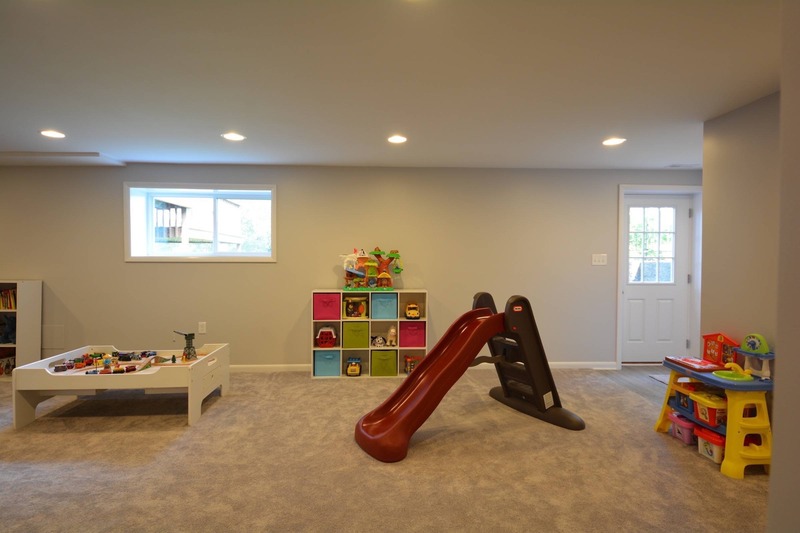 For example, some basements are not subject to the extreme temperature fluctuations that the above ground floors can be. 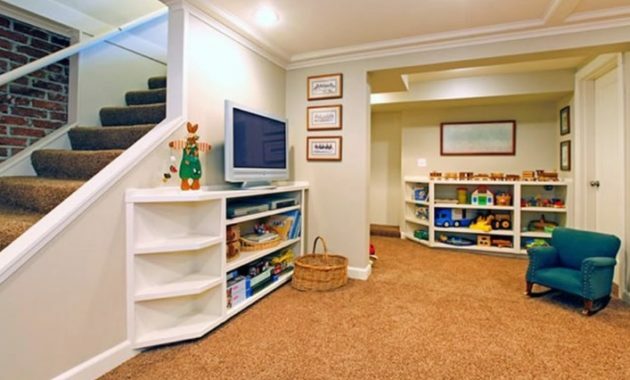 Finished basements can be a nice stable temperature all year round. 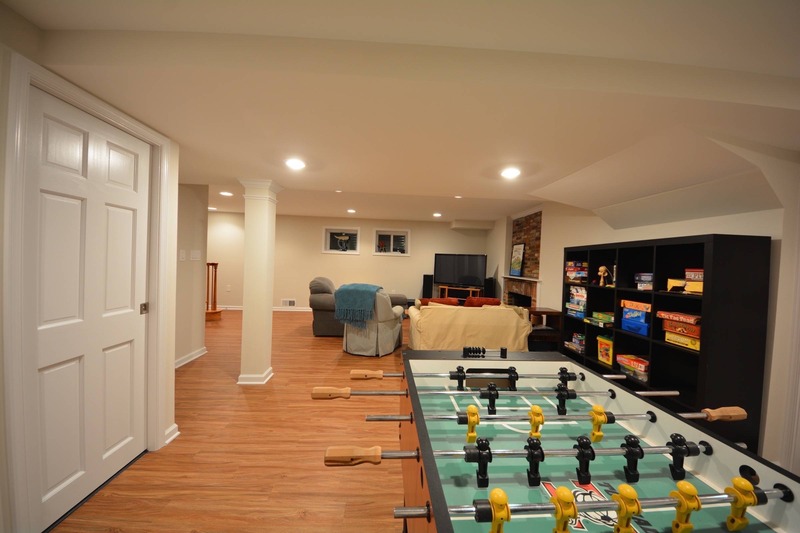 However, if it is not a finished basement, some basements can get extremely cold in the winter months. If this is the case, then the playroom at least should be finished and insulated from the cold winter months. 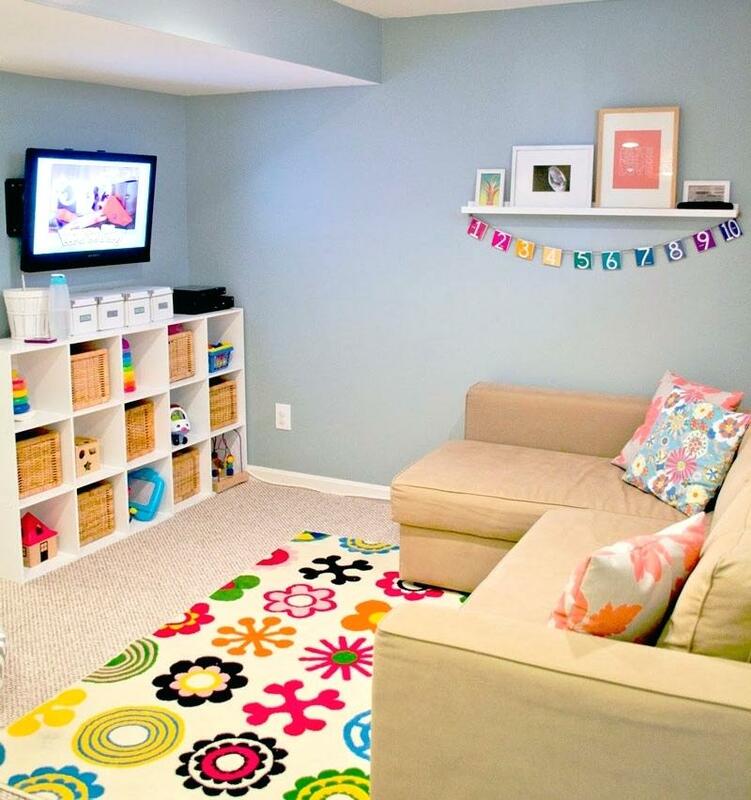 One great thing about putting a playroom in the basement is that it frees the rest of the house up for other rooms. 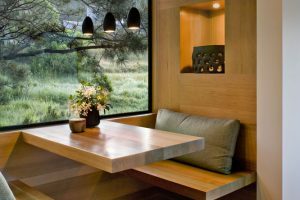 This can be a great use of space. Also, children can often times be very loud while playing. If they are in the basement while playing, they have less of a chance of bothering people in other areas of the house. 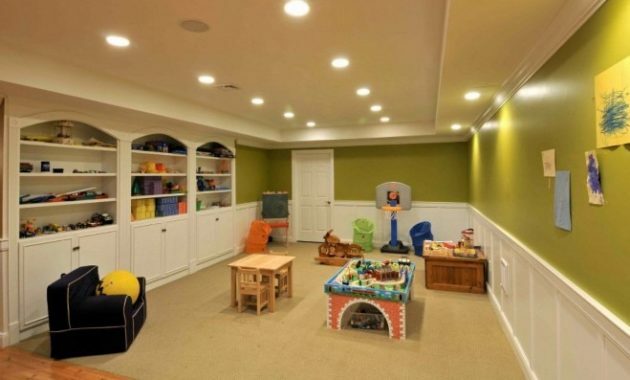 Really, having great basement playroom ideas can help children develop as well as possible. 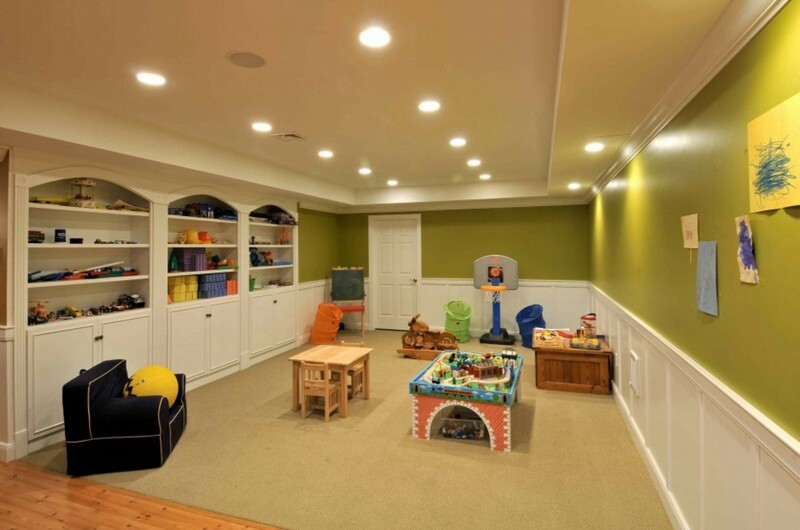 A playroom in the basement has some other benefits and concerns as well to be looked at when making your decision. 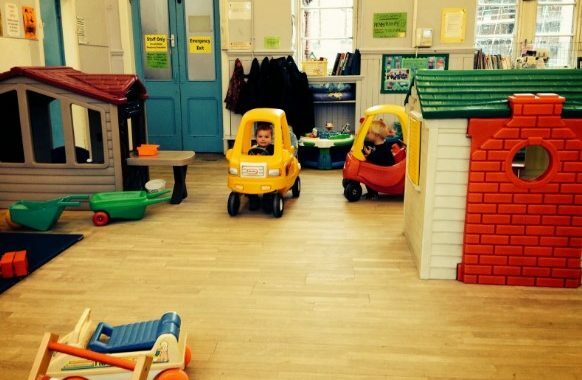 Boys can like many things, and this can be demonstrated in the many playrooms for boys that are around. 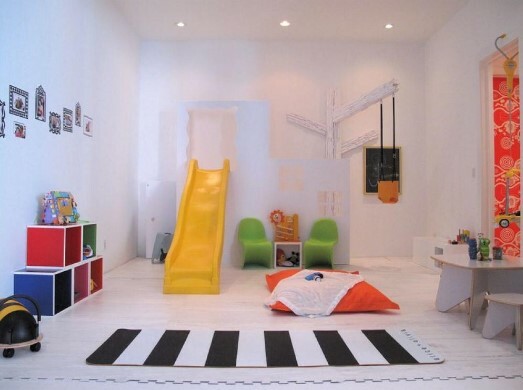 But, playroom ideas for boys do have some general guidelines that can be followed to make creating them a little easier. Read on to discover more. 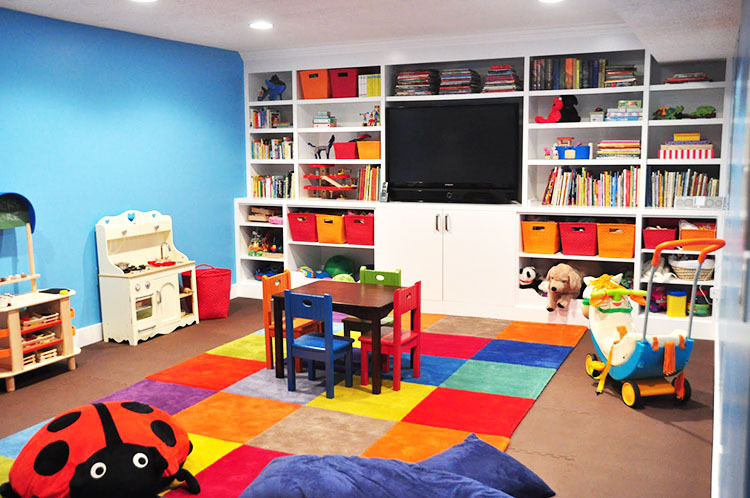 In general, playrooms have the same basic design. 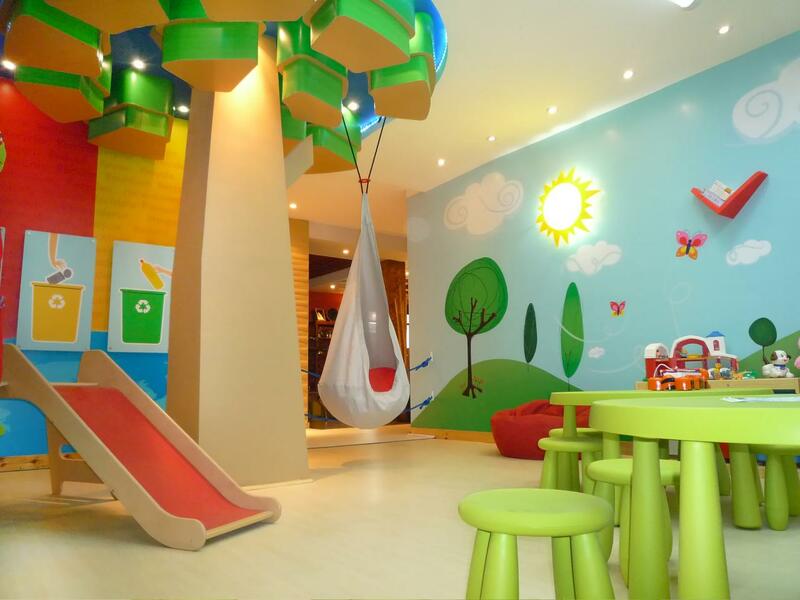 Fun and learning activities for children are the name of the game when it comes to playrooms. 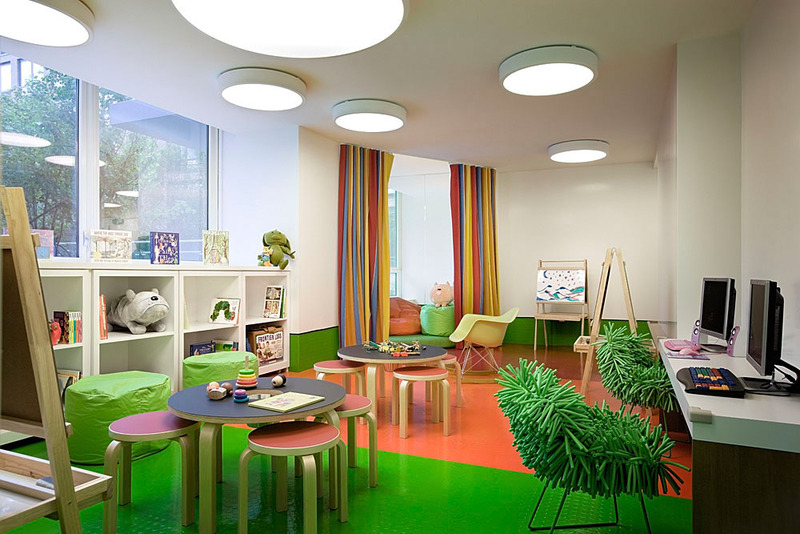 But, the exact games, activities, and design of the room is where the real personalization is. 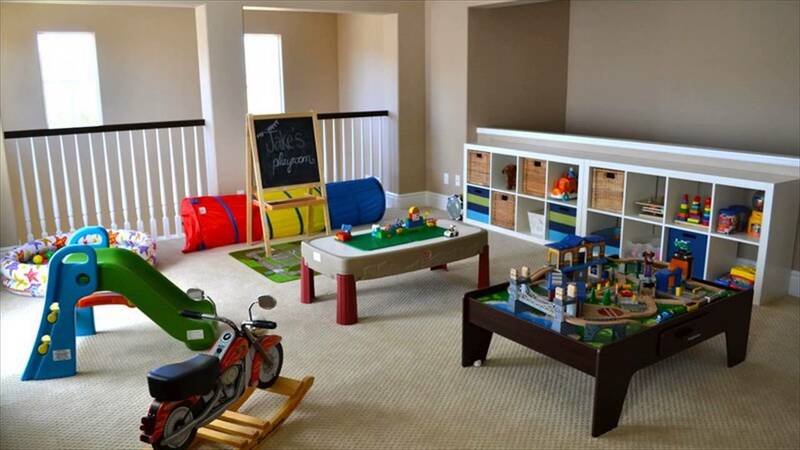 This is no different when it comes to playroom ideas for boys. 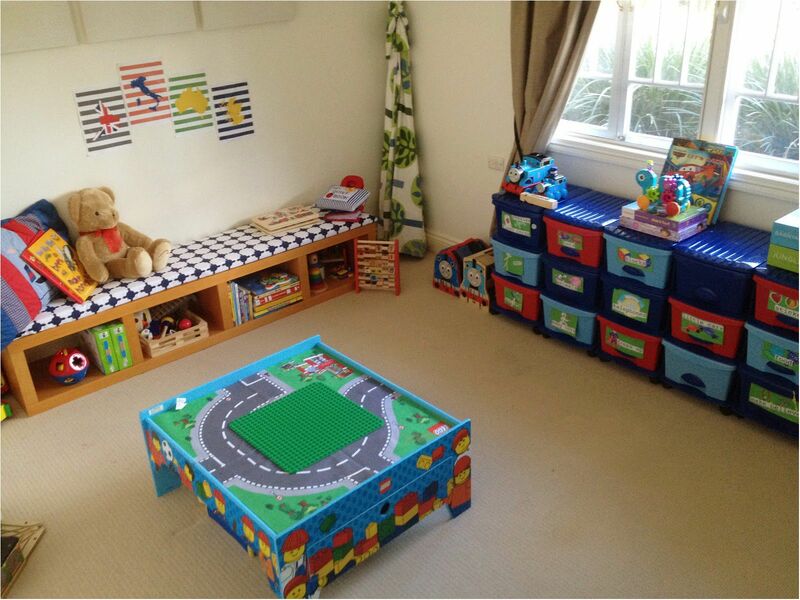 The basic idea is for boys to have a room to enjoy themselves in and learn while they are doing it. There are, however, plenty of ways to customize them for each boy in question. We’ll call this the theme of the room. 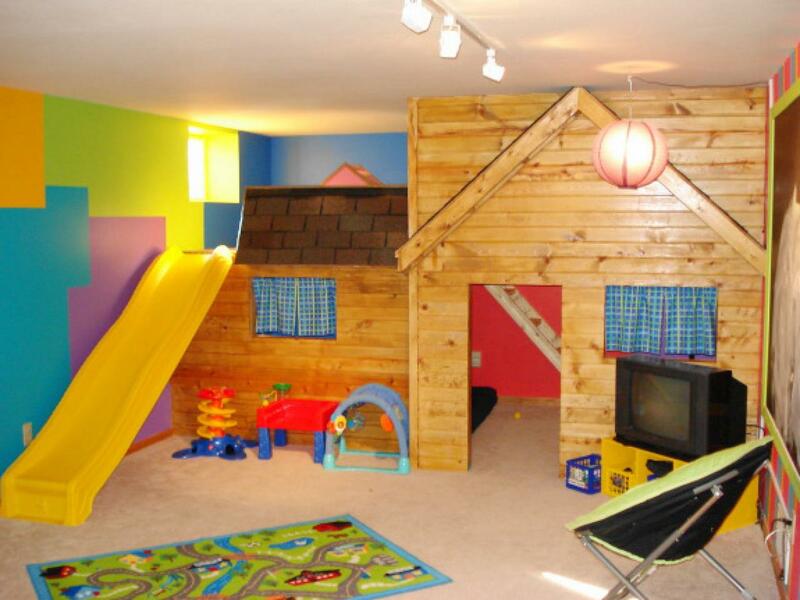 For example, let’s say that you have decided that your playroom will have a reading area, writing area, and toy racks. 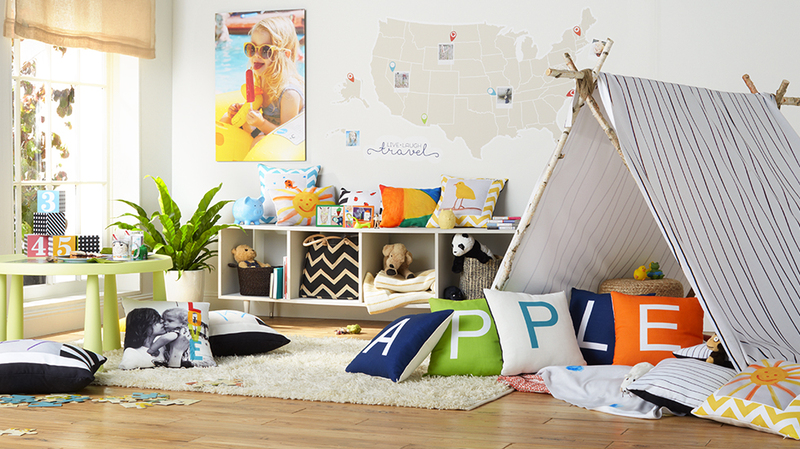 This is a good blend of common activities and furniture. Let’s see how this can be customized for different boys. If your son is really into racing cars and speedy things, there are ways of tailoring this setup to suit his tastes. 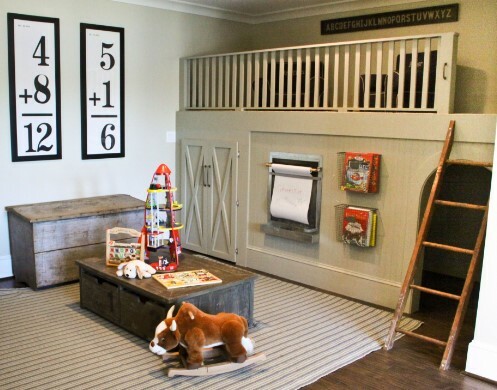 For example, you can include many racing themed things into the decorations of the room. 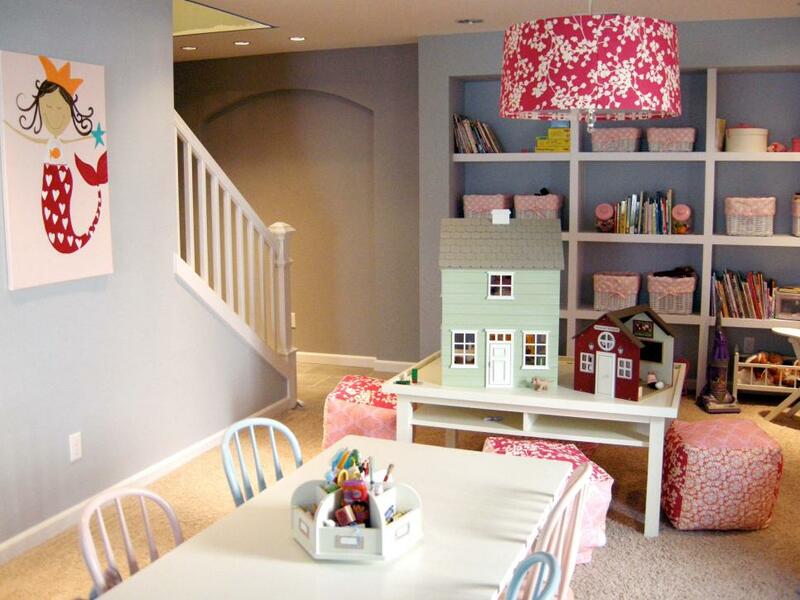 There are plenty of racing themed stickers such as racing cars, checkered flags, etc that can be placed around the room. 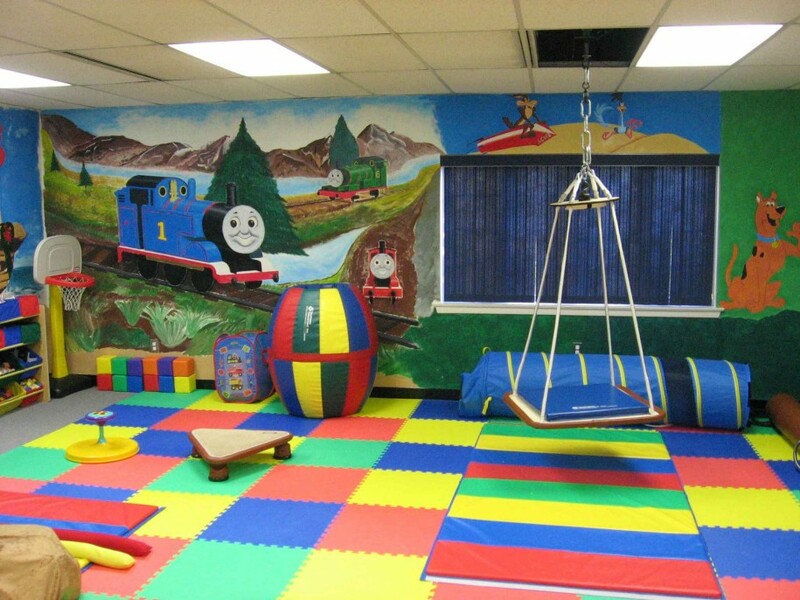 The room can be painted in racing themed colors, like reds, yellows, and black and white checkered patterns. 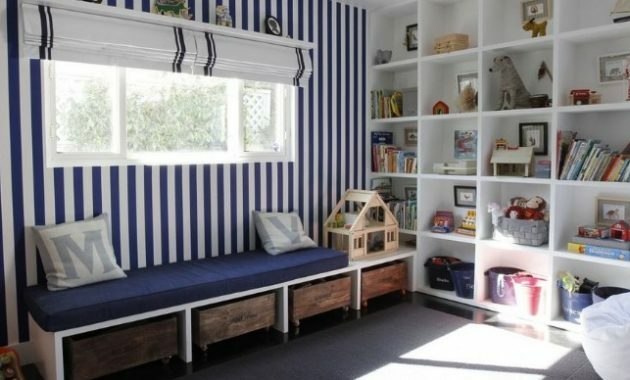 The reading area can have a black or a black and white checkered rug. The seating can be a red bean bag chair and it can be lit with some racing themed lamp. If you are looking for a racing themed writing area then that is easy. You can use some car tires as a base for a table, and stick a clear Plexiglas table top on top of it. 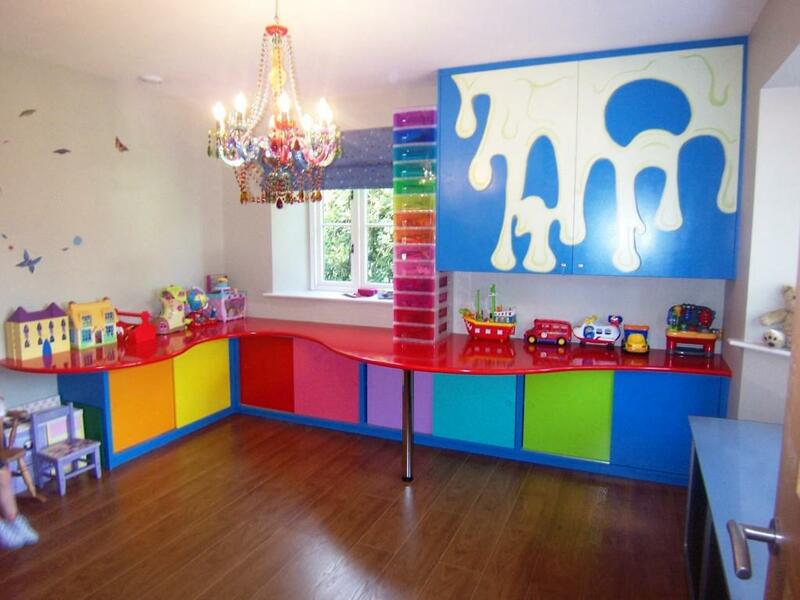 The toy racks can be made of brightly colored boxes of various sizes. They can also have racing themed stickers on them. 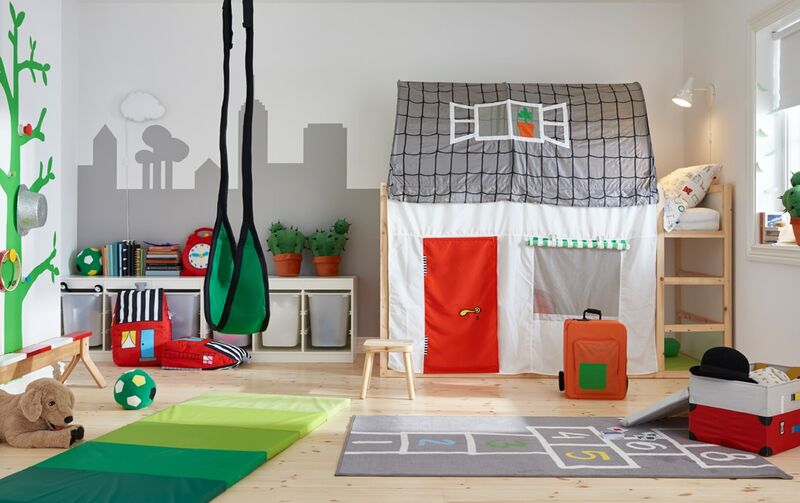 Really, this is just one simple example of playroom ideas for boys that can easily get you a great themed room that is sure to please any boy. 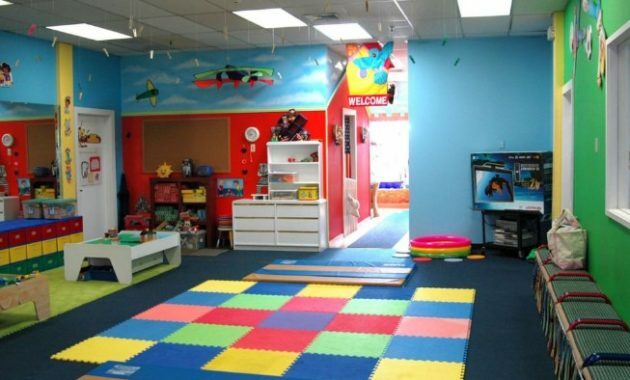 There are many activities that children do in playrooms that are also an important part of their development. There are many games that children can play that will also help them learn in various ways. Many games can involve counting which can greatly help them develop math skills. The lessons do not stop there however. 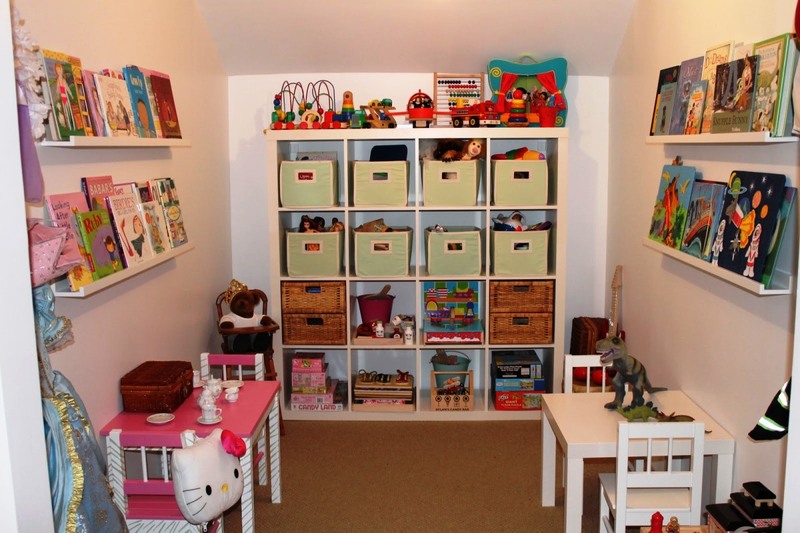 Since playrooms can be such busy places, good storage and organization is a very good idea. Good organization can help keep things clean and tidy. 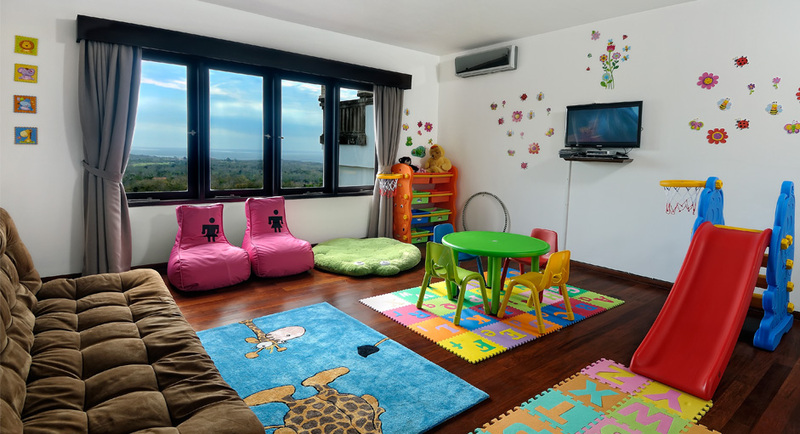 A clean playroom is also a safer playroom as there is a reduced chance of tripping over a toy, or falling onto one while playing around. 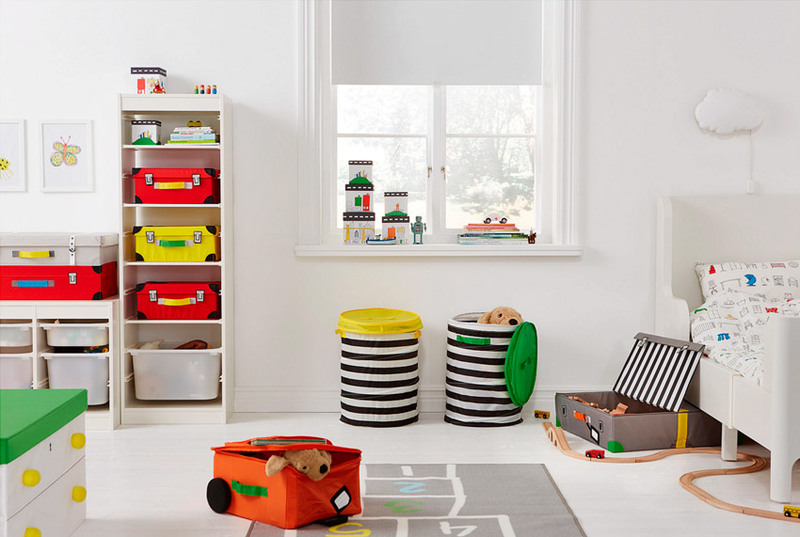 Having good storage can also be a good opportunity to teach children a valuable lesson. If there is a place for everything to be returned to after each use, then this is a great chance to teach them about cleaning up after themselves. Teaching children by doing is a good idea. Many children learn by watching Mom or Dad. 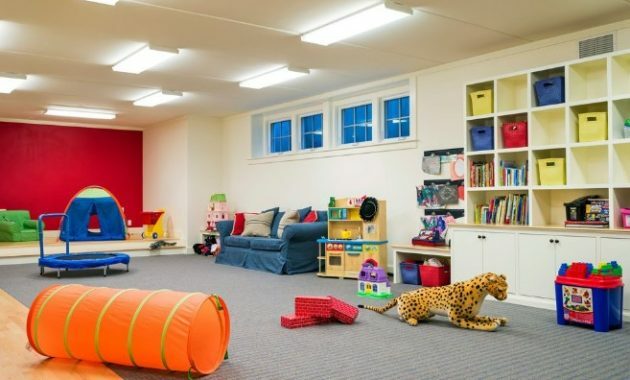 If the parents are keeping things tidy all of the time in the playroom, the children will more likely learn from that. 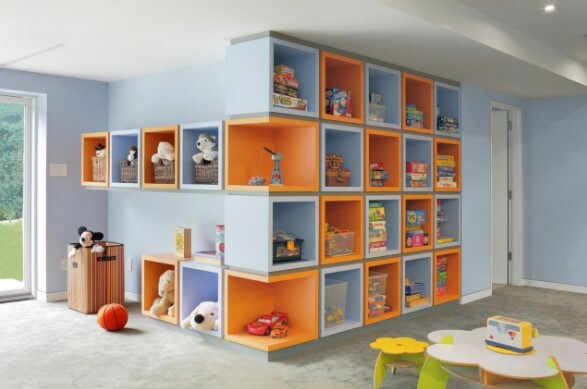 Storage and organization options are quite varied for playrooms. You can select between any number of colorful plastic tubs of various sizes. This is a great basic form of organization as they are portable and the smaller ones can easily be move around by children. 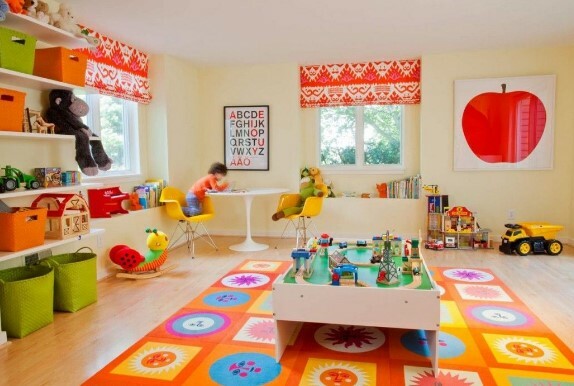 The colors of these can easily be had to match any decorative styles your playroom may have. 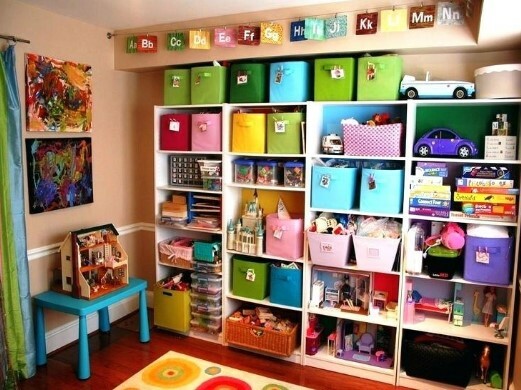 Some parents like to buy organizational items that can be used for years to come. 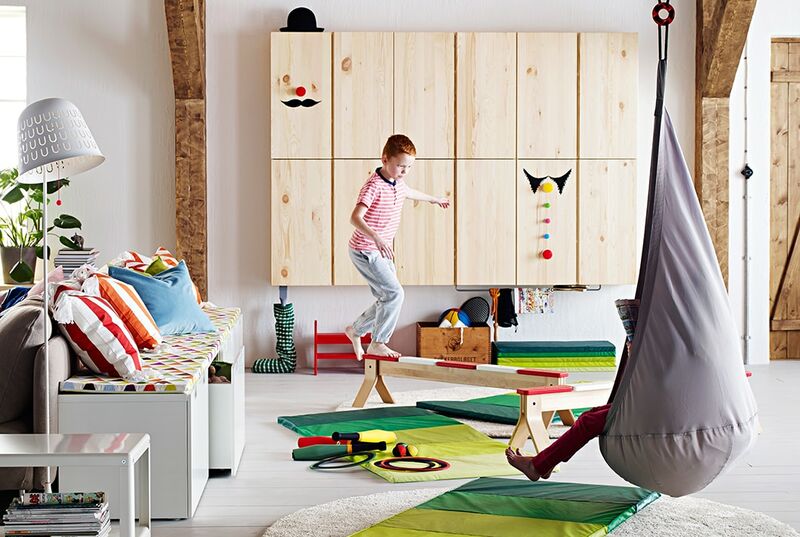 For example, an armoire can be used to store toys and other things, then as the child grows, it can be used for other items or the child’s clothing. 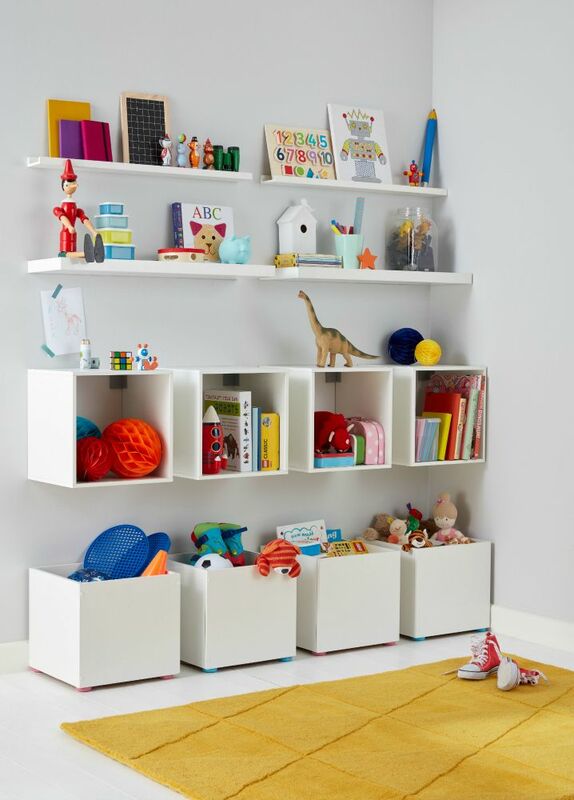 Any number of regular shelving units can serve a family for years to come while storing a child’s toys right now. 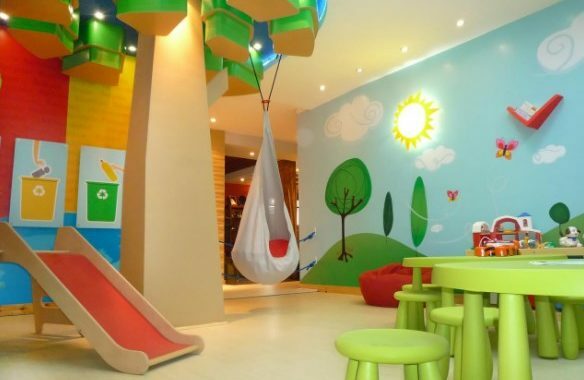 These are just a few Fun Kids Playroom Ideas, as there are plenty of them as long as you can play with your imagination.